Helping you out with your plumbing problems. With our experience in the plumbing industry, no job is small for us. We can help you with all your plumbing needs, including renovations, shop plumbing, thermostatic mixing valve installation and testing, backflow installation and testing, and drainage. Townsville Plumbers offers you a wide range of professional Plumbing solutions, including; All Domestic and Commercial maintenance, repairs and new installations to the Townsville Region QLD 4810. We offer you a one call solution to all your electrical needs. These include: 24 Hour Emergency Plumbing, After Hours Plumbers Plumbing Contractors Plumbing Maintenance & Repairs Hot Water Systems Electric hot water systems Solar hot water systems Gas Fitting Roofing Commercial Plumbing Domestic Plumbing As you’re of Townsville Plumbing providers, you can get the job done fast, while saving money. Townsville Plumbers allow you to schedule your installations or repairs in just a single phone call or website quote. We really have this as easy as we can for our Townsville customers Our Plumbers deliver pragmatic solutions to your everyday plumbing requirements. We are here to service your most challenging and disruptive utility needs. No matter what the issue, time or day, we have you covered. 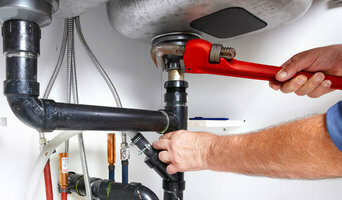 Townsville Plumbers consolidate your Plumbing, Hot Water, Gas and Roofing needs into a single, cost-effective solution. Our company is spearheading a new, customer-centric approach for Townsville residents. We bestow customers the convenience of quality control, prioritising their needs and demands first. In addition to being served by the highest calibville, Townsville Plumbers is one of the Fastest Growing Plumbers solution providers in North Queensland 4810. We deliver more than the bare minimum to our client base. Book a Job With Us Today to Receive 10% Off Your Total Bill – Simply call us today or fill in the booking form on our website. With a lot of plumbing work done behind walls and underneath floors, some Townsville, Queensland plumbers will also repair or replace tile, stonework or other surfaces, if need be. You’ll find most Townsville, Queensland plumbers provide a variety of services, including maintenance and construction, covering gas, solar and electric. However, some will have areas of expertise. A 24-hour plumber, for instance, will be well versed in residential emergencies and repairs, while others may be more experienced in renovations and new homes, or the installation of septic systems, rainwater tanks, pumps and other special water and drainage systems. Find Townsville, Queensland plumbers on Houzz. A leaking toilet or blocked drain can do more than just water damage, so never wait too long to call a local plumber. Start your search on Houzz by browsing the Professionals section of the site. If you're undergoing a renovation or home construction, you may also look through Photos to find local plumbers who have worked on projects similar to yours. If you’re planning a large-scale project, find other professionals on Houzz who can help get the job done. Here are some related professionals and vendors to complement the work of plumbers: Building Project Managers, Septic Tanks & Sewage Systems, Kitchen & Bathroom Designers, Kitchen & Bath Renovators.